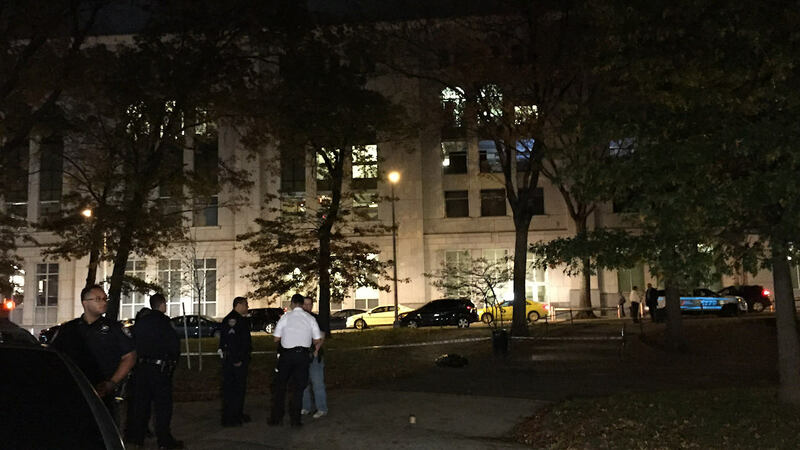 CONCOURSE, Bronx (WABC) -- A man has been charged after his girlfriend was fatally shot in a Bronx park near Yankee Stadium Thursday night. The 45-year-old victim, Araceles Colon, was shot in the abdomen around 9:30 p.m. in Macombs Dam Park at East 161st Street and Jerome Avenue in the Concourse section. She was pronounced dead at Lincoln Hospital. Police said her boyfriend, Jonathan Sanchez, 33, of the Bronx, has been charged with murder, criminal possession of a weapon, attempted criminal possession of firearm and prohibited use of weapon. He told responding officers that she was shot when a group of three muggers tried to steal her purse, according to the New York City Police Department. He said when he intervened, the suspects opened fire. But during questioning, police said Sanchez admitted that he fatally shot Colon as part of an ongoing domestic dispute.